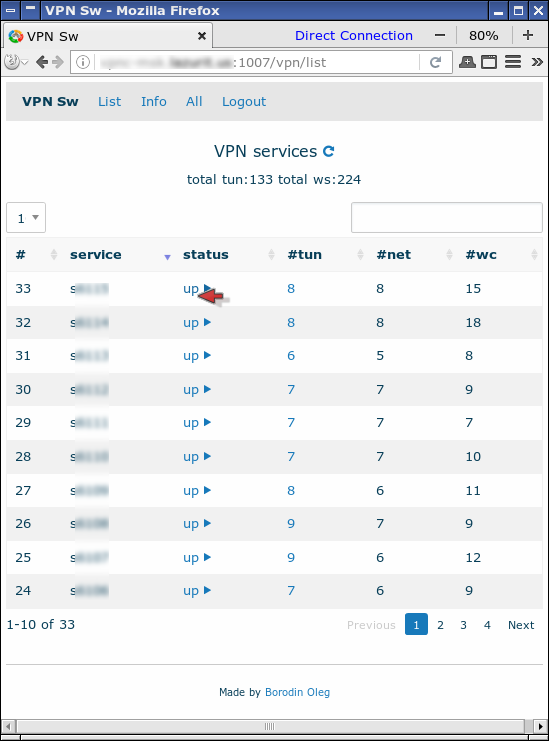 It is small web application for openvpn services start/stop and some network monitoring. We must only set directory with openvpn configuration, default set as '/etc/openvpn'. I wrote first release of the application with around 5-6 hours total to replace a legacy WTF application with similar functions. Now I made the app without TLS because it was necessary for install the app on old Ubuntu releases. Later I will shore add TLS.